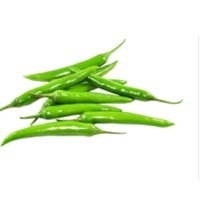 Browse fresh-green-chilli suppliers by country and region. 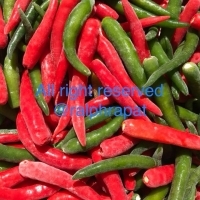 IQF Chili are ready to supply now which low price we can. 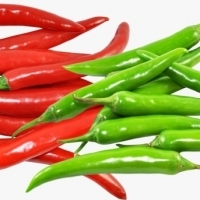 We have high machine technology with guarantee by ISO/ HACCP. 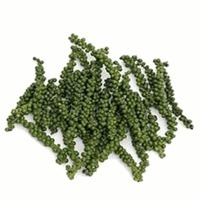 The price is fluctuate rely on raw material. 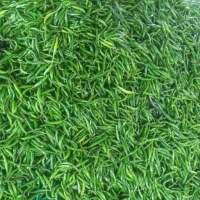 We have many farm contact to serve at high quality and we can control the quantity. So please contact us for more information. Quality is our priority. Short on time? 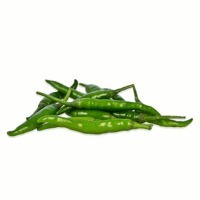 Let fresh-green-chilli sellers contact you. 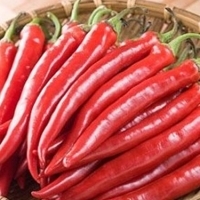 Canned Red Chili Origin : Vietnam Salt : 0.8 - 1.2% Acidity: 0.3 - 0.5% (as citric acid) Brix: 6 - 7% Shelf-life : 1 Years Ingredient : Chili, water, garlic, vinegar Feature : Low-Fat Net Weight (g) : 380ml; 540ml; 720ml; 900ml; 1500ml Packing : 24/24/24/6cans/cartons, 1650/1350/900/1000cartons/cont 20â?? 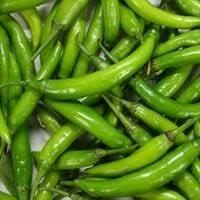 We offer fresh green chilly from india. 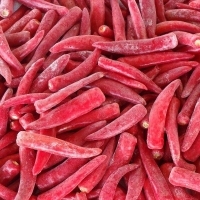 Our product range including the following : Potato, cabbage, green chilly, fresh ginger, okra / ladies finger, lemon, bringal, tomato, carrot, beetroot, cauli flower, gherkins, drumstick, french beans, cluster beans, red onion, elephant yam, cucumber, pumpkin, bitter gourd, bottle gourd, snake gourd, ridge gourd, spinach, curry leaves, mango, raddish, ridge gourd, brocolli, capsicum, celery, lettuse, mushroom, garlic, green peas, jack fruit (raw), coriander leaves, tamarind, sweet potato, amla, pine apple, banana, etc. Min order qty : 500 kilos. Please let us know your requirements. 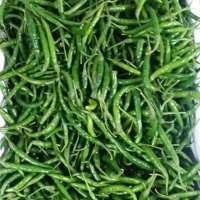 We are wholesaler, supplier and exporter of fresh vegetables. 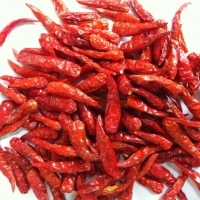 Since 40 years, we are renowned as wholesaler and supplier for superior quality of agricultural commodities. 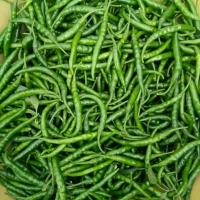 We offer export quality fresh Green Chilli at competitive price rate. 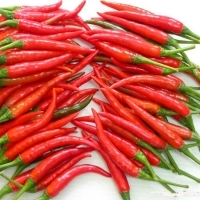 We follow International Standards for residue and quality checks. 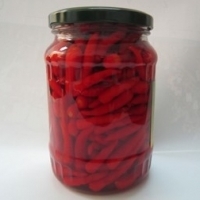 Availability: Year-round Packing: Standard packaging as per buyers requirement and/or the export norms & guidelines. 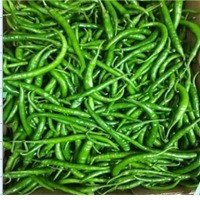 We export fresh Green Chili which is known for its health benefits. 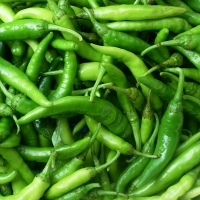 We are offering all kind of Indian fresh vegetables and fresh fruits. 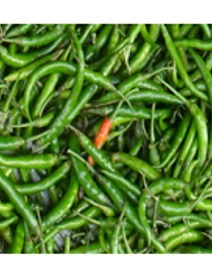 Fresh chiles are usually harvested in the green stage.